Computerworld – Apple has won the hearts and minds of small- and mid-sized businesses, which have overwhelmingly adopted Cupertino’s mobile devices over rivals powered by Android or Windows, an Exchange hosting vendor said last week. According to Intermedia, 76% of the customer-activated mobile devices for the year through October ran iOS, Apple’s mobile operating system. The majority of them were iPhones. Samsung and Motorola mobile devices — both of those companies rely mostly on Android — came in second and third with 12% and less than 6%, respectively. INTERDEV Australia has today signed a strategic alliance with EROAD of Auckland, New Zealand. New Zealands largest ERUC (electronic road user charges) provider and the market leader in the provision of telematics services to heavy vehicles. EROAD also has clients in the USA and Australia. The EROAD system, also implemented across fleets in the USA (where they are Federal DOT approved) and here in Australia, helps customers manage their vehicle fleet compliance, improve safety outcomes, lower running costs and emissions, and enhance management control and fuel security. INTERDEV is the Australian Mobility Solutions partner for EROAD, enabling INTERDEV to deliver complete field worker and vehicle activity data for its clients. Through the implementation of an INTERDEV-EROAD solution that is integrated into their existing business applications, clients benefit from efficient, safer business practices in the field and real time visibility into the operational and financial impact of this activity on the business. INTERDEV Australia is a leading provider of solutions which assist companies to improve the visibility, efficiency, safety and compliance of their remote workforce. INTERDEV’s core area of expertise is working with organisations where Transport & Logistics and Field Services represent a critical component of their day to day operations. Our solutions extend line of business applications to the field, and provide real visibility and management of activity. INTERMEC’s case study “Unlocking the Hidden Costs in the Distribution Centre” examines the current views on distribution trends and challenges from senior supply chain and distribution centre managers across the UK, France, Germany and North America. With many businesses still feeling the effects of the GFC, facing increased competition and being forced to operate on smaller and smaller profit margins, distribution managers are increasingly tasked with the seemingly impossible job of finding cost savings from existing operations. To do this managers are learning that they have to leave no stone unturned in order to effectively evaluate current processes and technology to help identify areas for efficiency improvements. 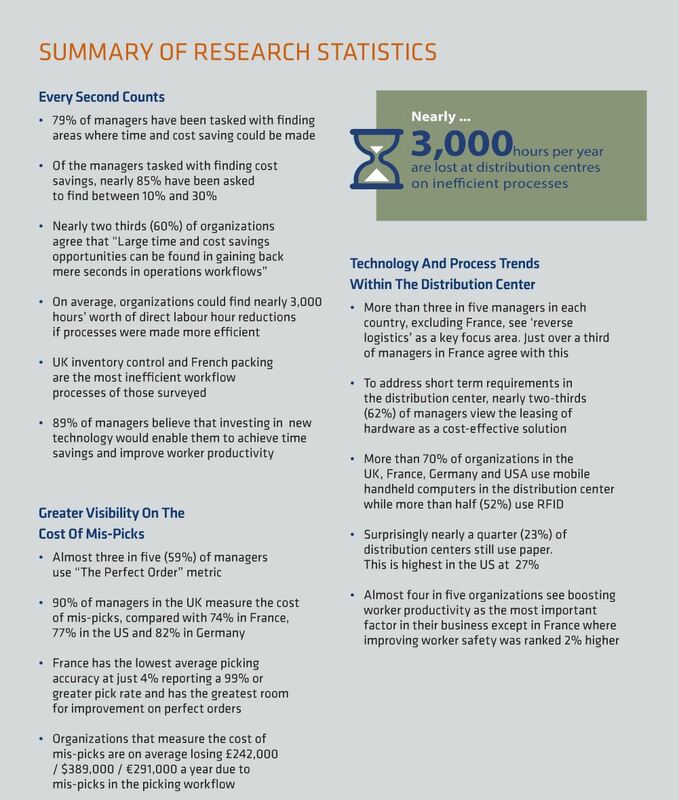 Managers are seeking to improve operational efficiency by gaining back mere seconds from each workflow to improve overall time and cost savings. Having workers take fewer steps over the course of the day, eliminating battery changes mid shift or using one device for multiple purposes are all areas managers identified as key components to increase efficiency. It is also clear that technology investment will impact productivity when deployed effectively. Picking Accuracy is of growing importance to managers as visibility increases over the cost to the business through measures such as the Perfect Order Index. Managers Believe mis-picks to be an ongoing issue within the workplace and one that could be avoided through the new technology process. INTERMEC release a rugged mobile computer with inbuilt camera and scanner running Windows Embedded and Android. Honeywell Scanning & Mobility company Intermec has released the CN51 rugged mobile computer, with the choice of Android or Windows operating systems. 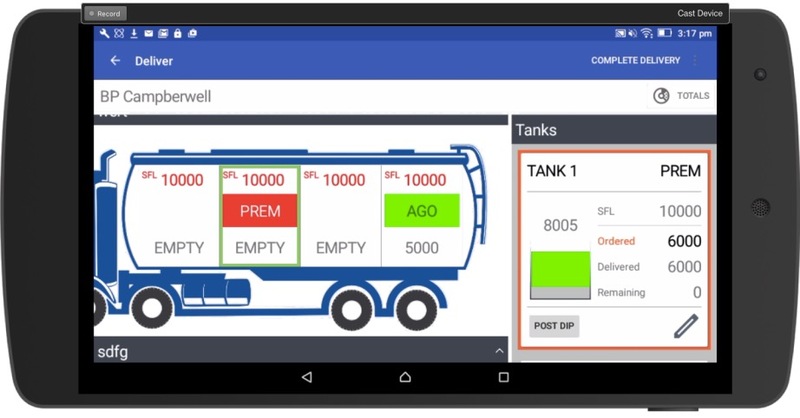 Designed for flexible application support, this next-generation mobile computer is designed for use in direct store delivery, transportation and logistics and field service operations. The National Transport Commission (NTC) should work on simplifying the heavy vehicle national law to improve road safety, the chief executive of the Australian Trucking Association Stuart St Clair said. Mr St Clair was commenting on the ATA’s submission to the NTC’s Heavy Vehicle Compliance Review. The review investigates methods to improve compliance and ensure that parties who break the law do not gain a competitive advantage. Transport Workers’ Union (TWU) national secretary Tony Sheldon said six truck crashes and six deaths in two days was evidence of the pressure on drivers to speed or skip rest breaks, to meet unrealistic deadlines. “Road transport is Australia’s most dangerous industry, with 330 deaths in truck crashes last year,” Mr Sheldon said. “Tragically, this includes six fatalities in six separate heavy vehicle accidents [in the past two days]. Toll raises USD250m in USPP Toll Holdings (Toll Group) has negotiated its second issuance of US Private Placement (USPP) which is available on 4 December 2013. Asciano expands with the acquisition of Mountain Industries to further develop the capabilities of its Ports and Stevedoring Division. Asciano Limited has acquired Newcastle-based integrated logistics company Mountain Industries Pty Ltd. The acquisition is in line with Asciano’s aim to further develop the capabilities of its Ports & Stevedoring Division, and extends its existing footprint in strategic locations on Australia’s east coast. INTERDEV mobile workforce solutions, manage your field teams in real time and increase business efficiency through the elimination of paper based workflows. INTERDEV is a provider of software solutions which enable business bring greater efficiency to their field based teams and streamline the flow of information to your operation and finance systems. Removal of paper documentation and workflows. Reduction of lost information and field generated information errors. Automation of Dispatch, Progress and Proof of Completion processes. For operations teams we deliver greater visibility and efficiency in field force management through real time field activity tracking. Ability to deal with delays in real time. Shorter times to invoicing and the removal of customer disputes through the use of Electronic Proof of Delivery with either photos and signatures. Elimination of lost revenue due to lost paperwork. Business owners access to real time financials or shorter invoicing cycles. INTERDEV builds mobility solutions that can evolve with your business and changes in technology. Many of INTERDEV’s partners have being using our mobility applications for well over five years. As a result the INTERDEV team form close relationships with our partners, working together to enhance functionality, adapt to business changes, new requirements and new technologies. Our long standing, super responsive team is committed to our partner relationships and success. If it is a mobile field force management solution that you require, and a partner who has the experience to deliver, then INTERDEV is the right partner to deliver your solution. Contact INTERDEV today.